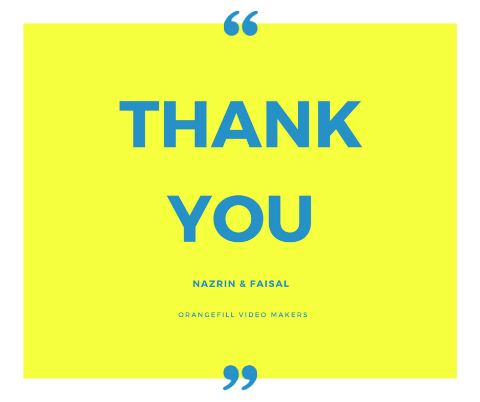 I just cannot believe that I really had fun doing wedding videos. From the coffee sessions I had with couples to their parents warm reception, from the tonnes of good food (no wonder I gain weight) to beautiful artistry of decors, cakes and many other stuffs. One thing for sure, people fall in love in so many ways. It is always a pleasure listening to their stories. So, for 2016 blog posts, I will make a point to share useful tips, guides and content. It will not be totally wedding video related. It will be wedding related stuffs. I hope with this sharing of info/contnet, it will help you in your search. Kadi's speeches - So you will have an idea which type of Kadi you prefer. Dessert tables - I have seen quite a number. All of them are gorgeous. I will share my thoughts. Photographers - In my honest opinion, I have worked with the best in 2015. All of them are professional and humble. we see all the fun captured wedding moments for our couples. We give our best for knowing we could not do it without your support, encouragements, sharing your love story. It is an experience that will never be forgotten. As we move forward to 2016 we will continue to provide you the best wedding video service. Do enjoy our wedding video reel for 2015. ** do you see someone you know ? Smile and enjoy your hard work of planning. If things doesn't go your way, TRUST ME, your family members and friends will make things better. If I have to step in, I will. 2016, here we go ! When planning your wedding video services, talk with us today and lets create memories together. Allow me to get back to you within a day or two. You don't know how excited I am for you and your partner. Congratulations on your engagement! Newer PostWhat if your planned nikah and sanding is 3 months apart ?